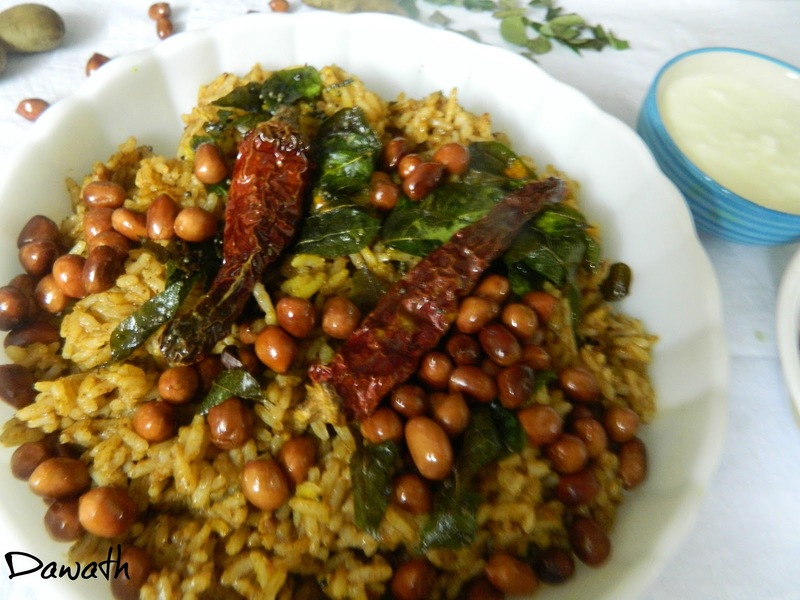 Pulihara or puliyogre is a tamarind flavored rice.This dish is tangy and spicy.It can be relished as a breakfast,lunch or dinner. Pulihara is also distributed in the temples as’ prasadam'(religious offering to the almighty,consumed by the worshipers). We, GSB’s celebrate a temple festival known as car festival in Mangalore for continuous five days.Every evening on the festival, food will be served traditionally on the plantain leaf with delicious dishes.On the fourth day of the festival,known as ‘Sanu theru ‘they serve this yummy pulihara,which I long to have and get to eat only once a year.I also remember relishing this in Tirupathi temple which they serve in a small bowl made out with some kind of leaf.Coming back to the recipe I adapted this recipe from Nutans blog which we had to prepare for the bloggers day in a FB group.Very often I used to prepare this dish with instant MTR puliyogre powder.But henceforth I’m gonna prepare this recipe ,which is truly good. Soak tamarind in warm water and extract thick pulp. Dry roast chana dal,urad dal,cumin seeds,coriander seeds,methi seeds and red chillies. Cool and powder it,mix it with 2 tbsp of oil,add tamarind pulp,salt to taste and whisk it for a second . 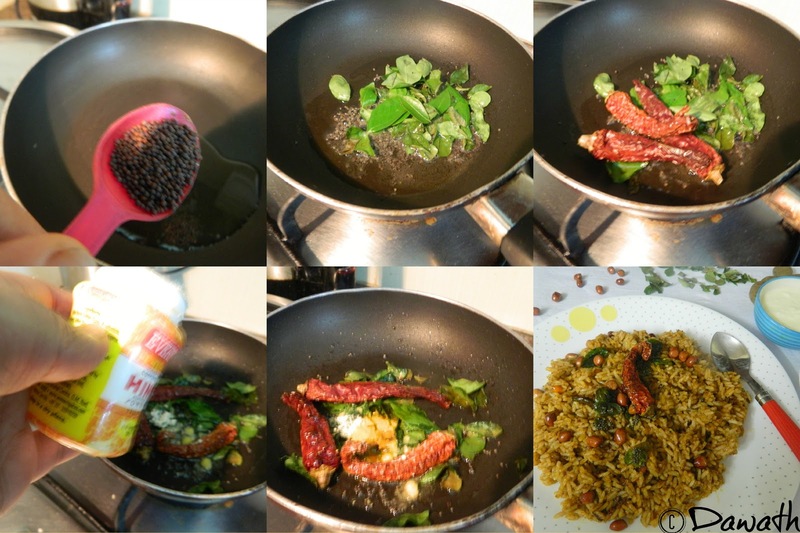 Heat 2 tsp oil in a small pan splutter mustard seeds,add curry leaves,red chillies Asafoetida and turmeric powder. 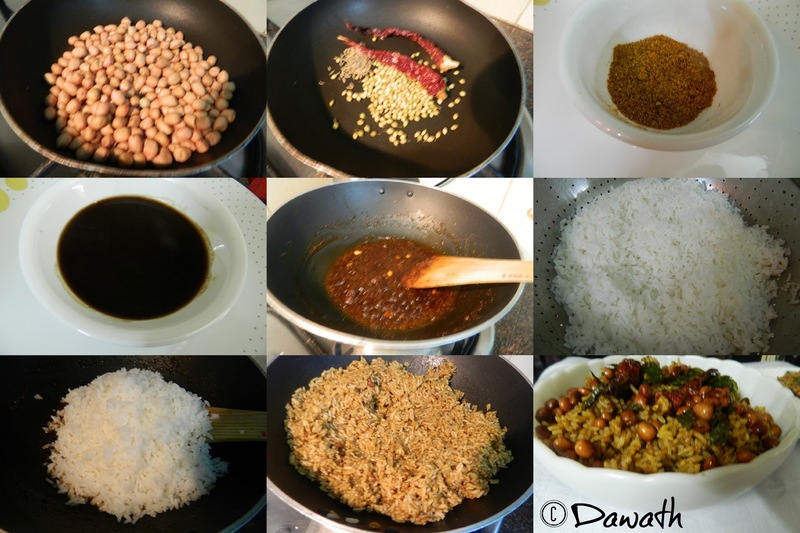 Pour it on the tamarind mixture,add rice and groundnuts. 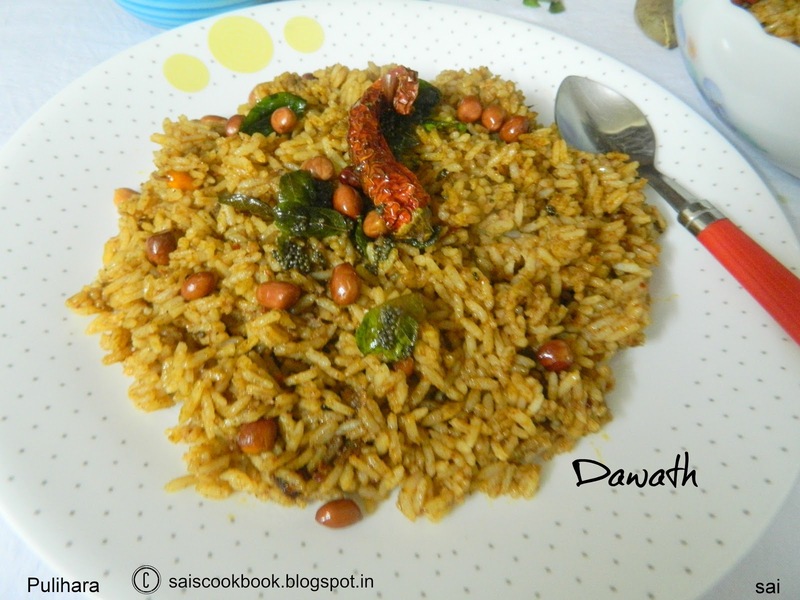 Garnish it with few fried groundnuts. Serve it hot with curds or papad. 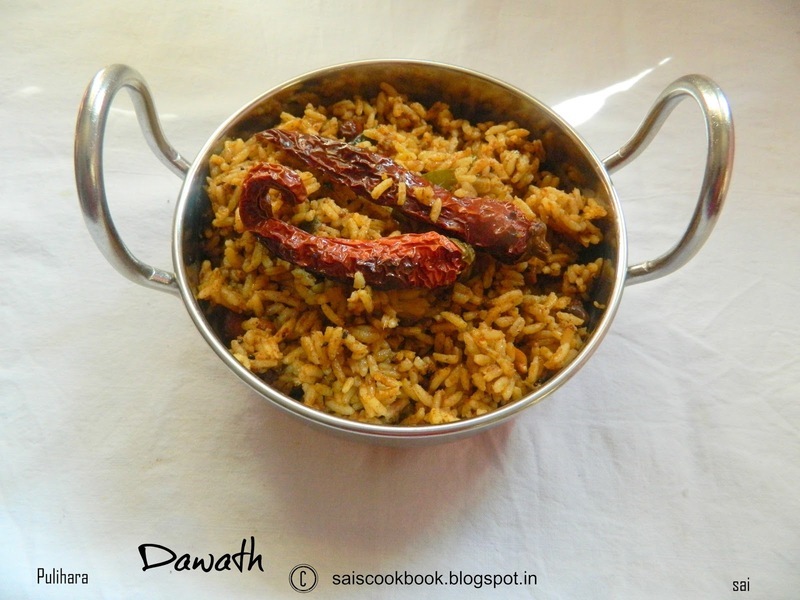 You may prepare the tamarind rice with the leftover rice.